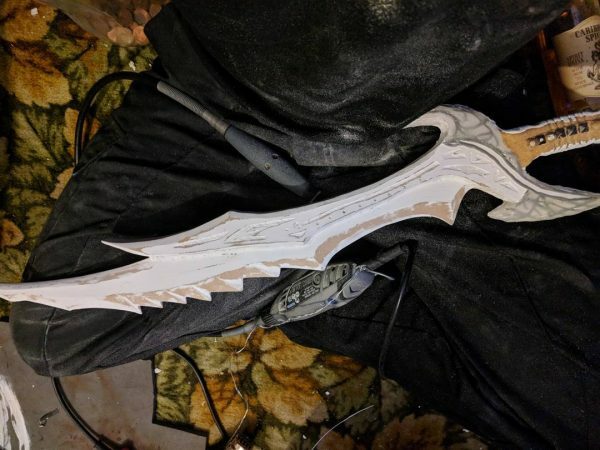 From Wood to Frostmourne « Adafruit Industries – Makers, hackers, artists, designers and engineers! Christian, a.k.a. 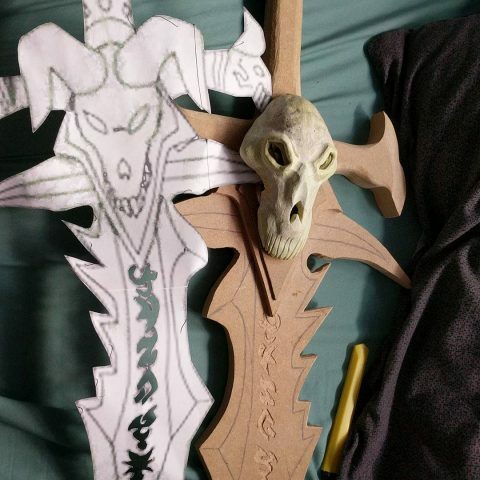 kyros_arsenal, took some plain medium density fibreboard (MDF) and transformed it into a beautiful World of Warcraft prop: Frostmourne. He started with blueprints and attached them to MDF to cut two copies out that he then glued together (two layers made for a thicker, more substantial profile). 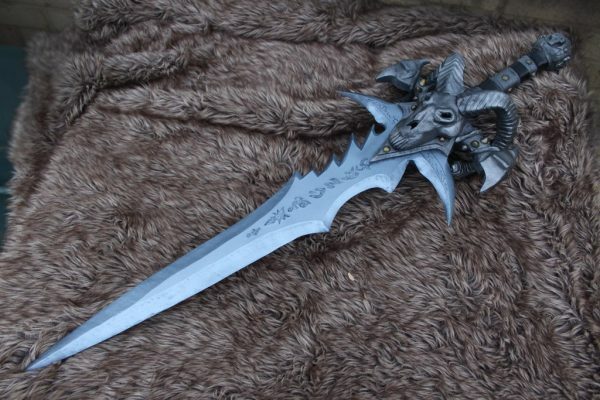 He sculpted the skull by hand before painting the MDF with primer and two layers of black paint and then turning the blade a metallic, frosty blue. You can see early stages below. Note: if you’re planning to take a MDF prop to a convention, check their prop rules before you start crafting. Some don’t permit anything but plastic. See more of the step-by-step progress at Instagram.